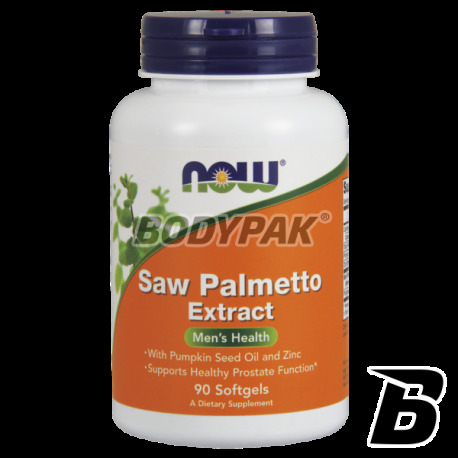 Health & BeautyNOW Foods Saw Palmetto Extract - 90 kaps. NOW Foods Saw Palmetto Extract - 90 kaps. Saw palmetto (Sabal minor) is coming from America plant, which is characterized by large red, passing the black fruit. That they were used by Indians to strengthen the body and stimulate the appetite. Fruits saw palmetto contain phytosterols such as beta-sitosterol, stig-masterol, lupenon and 24-metylocycloarte-nol. It has been shown that the fat-soluble extract of the fruit blocks the enzyme 5-al-fa-reductase turning testosterone to 5 - alpha-dihydrotestosterone. Saw palmetto is also traditionally considered to be a plant-assist sexual performance of a man, because it is used to treat impotence. Saw palmetto is used increasingly as a means of preventing prostatic hypertrophy and hair loss was due to its strong off properties of the enzyme converting testosterone to DHT. It has been proven in numerous clinical studies, the 375 mg extract of saw palmetto in no way inferior efficacy of finasteride, without bringing any side effects. Effect of hair regrowth occurs after approx. 4-6 months of treatment, and inhibition of hair loss after 2 months of use. As in the case of failure to use finasteride increases alopecia Principle of saw palmetto. There are a lot of research and documentation, which have a beneficial effect on the operation of saw palmetto prostate and urinary tract. Almost 50% of men above 50 years of age experiencing benign prostatic hyperplasia (BPH). One in seven people over this age will be diagnosed with prostate cancer. Sabal minor can be equally effective in the treatment of BPH as a prescription drug. In addition, work on clinical trials saw palmetto published by the Journal of the American Medical Association (JAMA), showed that men who were given an extract of saw palmetto showed greater improvement in symptoms than men who received placebo. Sabal minor primarily for the treatment of conditions associated with BPH (nonmalignant enlargement of the prostate). There are several factors causing the development of BPH. First, the operation of testicular androgen levels and critical influence on the development of BPH. Second, changes in the metabolism of androgens in prostate favor the accumulation of dihydrotestosterone (DHT), and thirdly increase in the ratio of estrogen to androgen concentration. It is believed that Sabal minor inhibits the action of testosterone in the prostate, resulting in enlargement of the prostate which in turn causes problems with the flow of urine. Herbal extract of saw palmetto helps to improve urine flow and reduces the frequency and the feeling of needing to urinate in men with BPH. Herbal extract of saw palmetto is also sold as an aphrodisiac for men and women is conducive to building muscle and their tissues. Sabal minor consists of fatty acids. It includes a plurality of fatty acids including lauric acid, oleic acid, myristic acid, palmitic acid, phytosterols (plant sterols), and polysaccharides. Sabal minor is also used in the treatment of cystitis, chronic bronchitis and other diseases. It is believed that the fatty acids contained in the palm Sabałowe inhibit the effects of testosterone on the prostate gland. Palma also prevents the process of converting testosterone into dihydrotestosterone (DHT), which causes the proliferation of prostate cells, and also leads to baldness. Herbal extract of saw palmetto prevents binding of DHT to the androgen receptor, which plays a key role in the prevention and treatment of prostate enlargement, as well as hair loss. 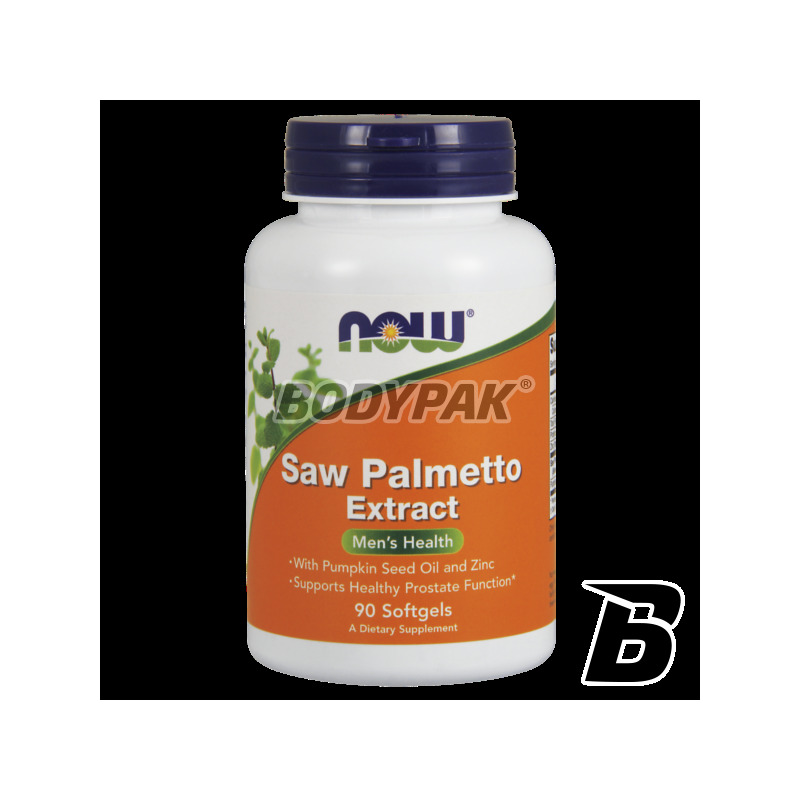 Warning: If you suffer from hormone-related diseases, you have prostate problems or you are a woman nursing or pregnant, please consult a physician before use of the saw palmetto extract. 1 caps. 3 times a day. Inne składniki: kapsułka (żelatyna, gliceryna, woda, karob), wosk. High-quality extract from the leaves of Aloe Vera 200: 1 capsule form! It is known for many centuries as a way to support the health of the body. It has already been used in ancient Greece! The natural power of pro-health!